When 14 retailers were interviewed by TDmonthly Magazine about hobby product sales, they had varying descriptions of the word “hobby.” Craft kits and art supplies were discussed, as well as toy ships, trains, planes, bikes, cars, kites, rockets, tanks and robots. Mariellen Re, an Algonquin, Ill., mother of six children ranging in ages from 10 to 17, believes today’s kids are rarely committed to any one play activity long enough to call it a true hobby. 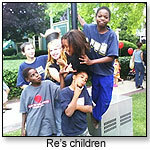 She told TDmonthly, “Kids today have short attention spans because of video games. In fact, video games may be the ‘hobby’ of today's generation!" So, how can hands-on crafts and “put it together” toys compete with the virtual world? One all-over trend noted was that parents and kids like toys that serve some function after they are assembled. Charles C. Bonner, owner of Heights Toy Center in Little Rock, Ark., remarked, “Things that have a purpose later, rather than something you make and it’s done, [are] more of a trend now.” The Decoupage Diva Jewelry Keeper Craft Kit, a jewelry box kids decorate themselves, is a big hit, he said. “Kids like something they can use, not just put together and it’s over,” seconded Katie Culotta, owner of Baton Rouge’s Victoria’s Toy Station, which does well with the Ribbon Headband by Alex and the Enchanted Fairy Garden by Creativity for Kids. Mary Alice Miner, owner of Miner’s Doll and Toy Store in Ocean Springs, Miss., sells an old standby, Pot Holder Loom by Harrisville Designs Inc. “They’ve been around forever but are still very popular,” she told TDmonthly. 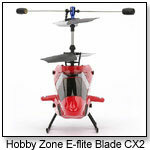 According to half of the retailers, radio-controlled helicopters, such as the E-flite Blade CX Helicopter by Hobby Zone, haven’t lost their popularity. “[It is] just a great beginner’s helicopter and still our best seller,” said Tina Houston of Fun 4 All Hobbies in Southaven, Miss. The AXE CP Helicopter by Hobbico’s Heli-Max does well at Mark’s Hobby Shop in Little Rock, Ark. “It’s a complete outfit for approximately $200, and it does mild aerobatics right out of the box,” Owner Mark Humphries said. “I have a son and I’m conscious that we need to find creative craft toys that boys feel are appropriate for their gender,” noted Mary Horne, owner of J. Christopher Toys in Jonesboro, Ark. Faber-Castell’s Creativity for Kids line caters to boy hobbyists, she pointed out, citing their Fast Cars Race Cars, Pirate’s Chest, Monster Trucks and Racer Bikes. “Retailers had asked us for more arts and craft items for boys, and we try to keep that in mind when creating new products,” Lisa Ritchie, public relations manager of Faber-Castell, told TDmonthly. Boys will probably also approve of the Elenco Robotics Kit, a kit of three robots they can assemble, Anthony Lees, owner of Hopscotch Toys and Books in Acton, Mass., said it was one of his top sellers. The Classic Potholder Loom by HARRISVILLE DESIGNS INC.
Other products from HARRISVILLE DESIGNS INC.
You will be able to assemble three fantastic robots. One robot detects objects using infra-red rays, the wake-up robot is sensitive to light and the third robot is operated by any TV remote control. A separate circuit and body are supplied for each robot. No soldering required. Square Up! offers a new twist on the slider puzzle – playing an opponent! 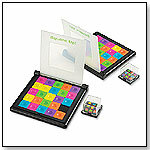 The object of the game is to slide the squares to match the cube shaker before your opponent finishes. It’s a fast, two-player, visual thinking game. Each board measures about 8” square. — Brooke Andrews, owner of Millers Toy Store in Mamoroneck, N.J., told TDmonthly in late 2009 her store sells about 12 units per week of this game. Two of 44 retailers named it as one of their top-three best sellers. Electric radio-controlled helis are the rage right now. With the new Blade CX you get a completely assembled and ready-to-fly, micro-radio control heli with a design that is so stable almost any first-time flyer can be hovering like a pro in no time. This is the most popular micro heli on the market today and can be flown indoors. Included are a free training gear set and a crash kit comprised of the four most commonly used parts (regularly $33.95). This item also qualifies for free shipping. The Blade CX comes with an instructional video CD and manual and is backed by solid phone tech support. Unlike toys, parts are widely available. Everything that's needed for flight is included with your purchase. This fully assembled helicopter can be test-flown indoors or out. It features symmetrical, covered wooden blades, a 120-degree eCCPM Swash Plate, full bearings and a beefy unibody airframe that offers more strength and protection. It also includes training gear, a start-up DVD, clip-on heat sinks, a trainer system on the true, five-channel radio, a Deans® Micro™ Plug on the battery, purple-anodized aluminum parts and a choice of six canopy colors with crack-resistant strength. This fully assembled and equipped monster truck excels at racing and off-road action. New features include a race-legal fuel tank, an improved slipper and racing clutch, and a hand-held electric starter for extra-easy starts. The customized, multi-color body is made of rugged polycarbonate with a choice of six trim schemes. It comes with decals and requires 12 AA alkaline batteries, a glow starter, glow fuel (O'Donnell® 20% racing fuel recommended), six-cell NiCd or NiMH pack and charger. Girls can store all of their jewelry essentials inside this cleverly designed armoire, which can be decorated with decoupage, fun paper accents, sequins and sparkle glaze. The top opens to reveal a mirror, and the jewelry chest measures approximately 8-7/8” x 5.25” x 3.5”. “We wanted to develop an item that didn’t use painting,” Lisa Ritchie, public relations manager for Faber-Castell, told TDmonthly. “There’s plenty of decoupage designs in the kit, and kids can use their own images, too.” Launch date: March 2006. Kids can decorate this trio of wooden race cars with paint and stickers. When finished, they simply pull the cars back and watch them go. Launch date: 2005. 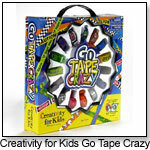 — “Creativity for Kids Fast Car Race Cars and similarly styled items sell around 20 per month,” said Kathy Mabry, owner of The Village Toy Shop in North Easton, Mass. — Of 44 retailers surveyed in fall 2008, seven percent named Fast Car Race Cars as a best seller. Kids can customize cool street bikes with an assortment of stickers and paint. This set includes two 5.5" W x 4" H motorcycles. Launch date: February 2007. Pirate gear includes a 5" W x 4" H x 4" D papier-maché treasure chest, a soft-foam eye patch, a head scarf, jewels, gemstones, gold coins, a sticker, paint and two secret treasure maps. “It’s a little bit of crafting, and a whole lot of pretending,” said Lisa Ritchie, public relations manager for Faber-Castell. Launch date: February 2007. Kids can cultivate a tiny garden wonderland in this "terra cotta" plastic planter. It comes with potting soil, seeds, paints, rocks, gravel, miniature woodland creatures and a fairy tale bark home for all the elves and gnomes who inhabit the enchanted garden. “This classic item has been in our line for many years,” Lisa Ritchie, public relations manager for Faber-Castell, told TDmonthly. 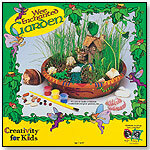 With a little creative magic, a child can grow his or her own enchanted fairy world. The garden set includes a flower house, tiny gemstone treasures, flowers, butterflies, paint, soil and seeds that grow like magic. It also comes with a friendly fairy, a sparkling garden path and teeny, tiny toadstools. This product is 14 headbands in one, and includes a plastic headband and seven reversible ribbon sleeves that slide easily into place. Each ribbon has a different design on each side. •TDmonthly Top Toys 2007 on VIDEO!